WildCircuit’s Pivena laser-cut case with 7-inch LCD lid and plenty of storage for extra hardware. 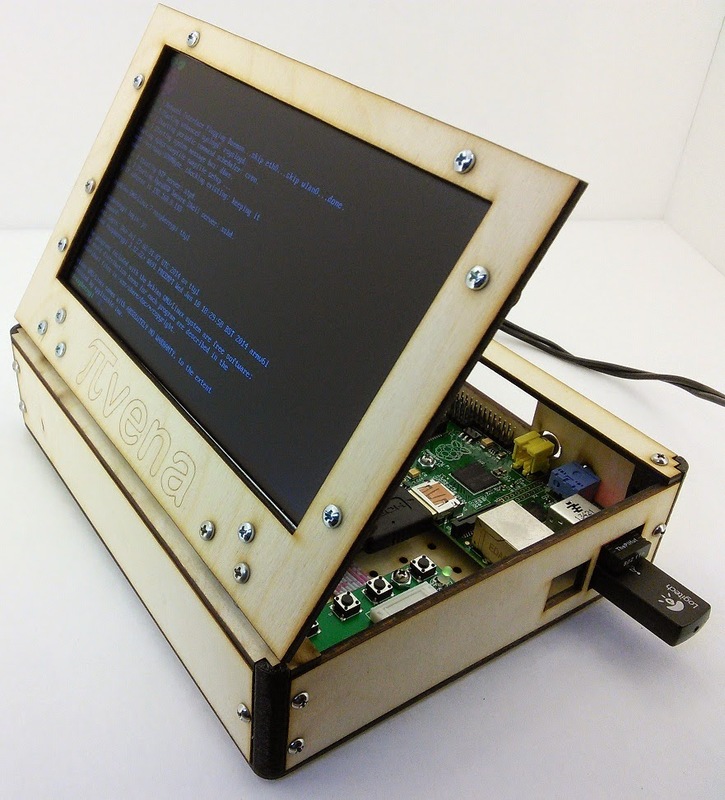 Sutajio Kosagi’s Novena open-hardware computing platform (AKA laptop) provided the inspiration for Timothy Giles (WildCircuits) to design his Pivena Raspberry Pi case, which looks similar but doesn’t feature the same hardware. Timothy designed the Pivena using a laser-cut wooden case that features a 7-inch HDMI LCD mounted onto the case’s lid. 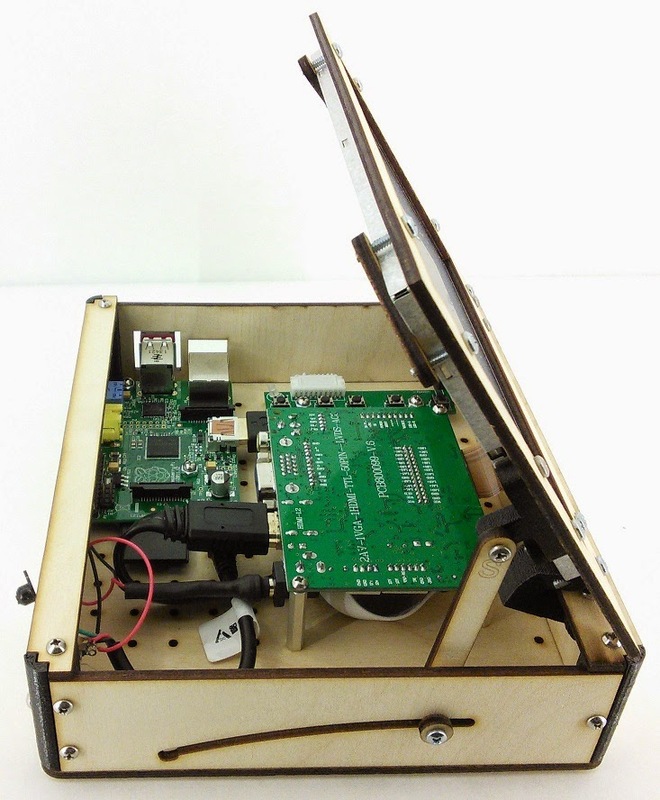 The Raspberry Pi (model B and B+) is mounted inside of the box, with cutouts for the GPIO pins, audio/video jacks and USB and Ethernet ports. A slide mechanism allows the LED lid to remain open locked in place at an optimized viewing angle, which also allows users to easily access their hardware components. There’s also pre-cut holes in the case’s interior, providing extra mounting options for additional hardware. The case also sports some 3D printed case corners and stand-offs for the hardware, giving it a sleek modern look while retaining the natural element of wood. In other words, makes the Pivena cheaper to build than using straight metal or plastic. The open-source case instructions and files are available for download here- http://www.instructables.com/id/PIvena-Assembly-Instructions/. WildCircuits also provides a ready-made enclosure for $40.00 sans the electronics. Time to update for the Raspberry Pi B+! Pivena’s right side features the lid slide that holds the LCD upright. The hard twist on the HMDI cable could stand a little work. Right angle adapter? The Pivena laser-cut enclosure unassembled.